Here comes our brochure about the first grant round! You have to read it! It is filled with best practices and a lot of good energy. Get inspired! 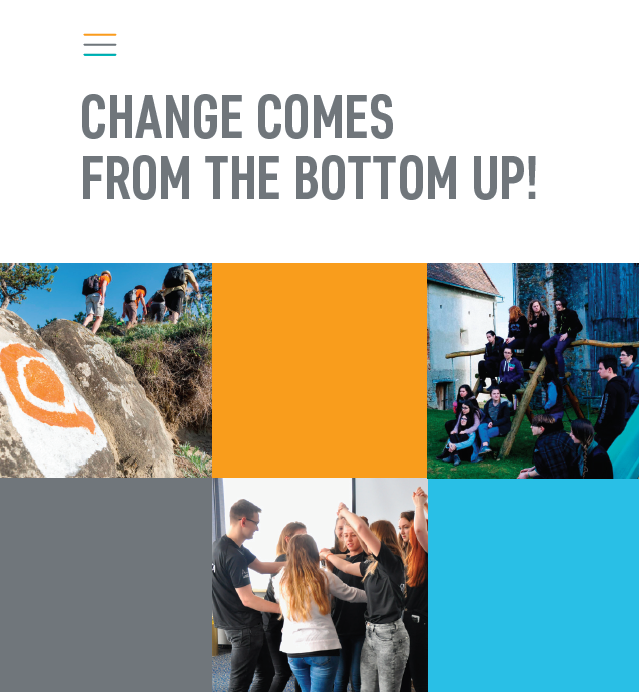 All the stories collected in the brochure prove that change comes from the bottom up. Local communities across Europe are confronted with a wide range of social problems, ranging from air pollution to unequal access to education and poverty. The best way to solve these problems is to act from the bottom up – such a solution involves the whole community and that makes the community want to act for the common good. Sometimes local communities need support – a mentor who will tell them how to organize their activities in the best way, where and how to look for funds and how to deal with obstacles. The role of such a mentor in many communities is played by community foundations – organizations which task is to support the activities of local communities. Thanks to the huge work done by approximately 650 community foundations operating in Europe, local communities across Europe are empowered to diagnose crucial social issues and to join forces with different stakeholders to tackle them. In this way, they not only successfully make a change on a local level, but they also contribute to the process of global problem resolution. How? Because each issue faced on the local level has its reflection on the global level. In other words: because local communities across Europe face similar problems, from the wider perspective they can be seen as global problems. Thus, community foundations supports local communities in achieving Sustainable Development Goals (SDGs), otherwise known as the Global Goals, are a universal call to action to end poverty, protect the planet and ensure that all people enjoy peace and prosperity. Download GCLS brochure and find out more about those inspiring stories! Global Challenges Local Solutions Fund is the first fund which connects CFs and SDGs. It is a grantmaking program that supports community foundations and local philanthropic organizations throughout Europe to address global challenges on the local level. It was set to provide them with additional resources that can improve local initiatives. The Fund focuses on initiatives referring directly to SDGs. The 2nd grant round is now open: you can apply for a grant up to 15,000 USD!